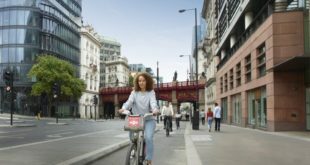 The Bicycle Association, on behalf of the cycle industry, is backing a nationwide extension, by the CTC and Cyclenation, of #space4cycling, a political lobbying campaign originally created by the London Cycling Campaign. Through the industry’s Bike Hub voluntary levy scheme, CTC and Cyclenation will receive a grant of £30,000, in order to take the LCC’s work to cycling groups in major towns and cities across the UK. CTC and Cyclenation will draw on the information, experience – and the promotional materials – developed by the LCC. "This new campaign will enable cycling groups across the UK to mount a united initiative to get local councillors’ support for a range of measures – from 20 mph limits in urban areas to traffic calming and improvements to safety at junctions – in the run up to the general election,” said Phillip Darnton, executive director of the Bicycle Association. The key objective of the national #space4cycling will be to ensure that the major political parties include firm commitments to cycling in both their national manifesto and in their local constituency plans. Darnton added: “Space for Cycling is designed to make cycling an everyday activity, accessible to all men and women, young and mature alike. CTC and Cyclenation will work with local groups to manage the advice and support of their individual campaigns under this unified national banner. 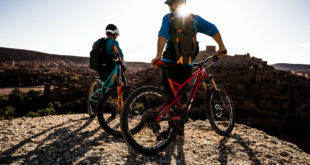 He stressed that: “Cycling is still not receiving the leadership, funding and long-term commitment from government that is essential for its transformation into a safe, attractive everyday and universal means of travel for short urban trips. 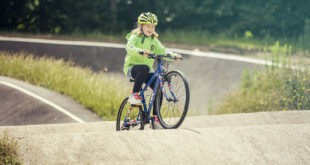 The Bicycle Association, via the Bike Hub levy fund, recently backed the Go-Ride youth cycling programme from British Cycling and late last year also supported London Cycling Campaign’s London-based #space4cycling campaign.